Sun Mountain Lodge is excited to be a proud sponsor of the Apple Puck Hockey Tournament to be held at the Winthrop Rink February 22-23, 2019! It’s back and bigger than ever! Just picture it……… A 2 day weekend event featuring 4 collegiate-level teams facing off under the sun and stars to see who will come out on top. Will it be the two-time champions University of Washington coming back to take the cup home another year? Maybe it will be Eastern Washington University who’s coming back after last season to prove that they are the true champions. It could also be Washington State University who decided to take last year off but are determined now more than ever to take the crown. But wait, don’t forget about the new comers from up north, Western Washington University, coming down to shake things up and show who’s boss. Please note that the entire event will be held outdoors. 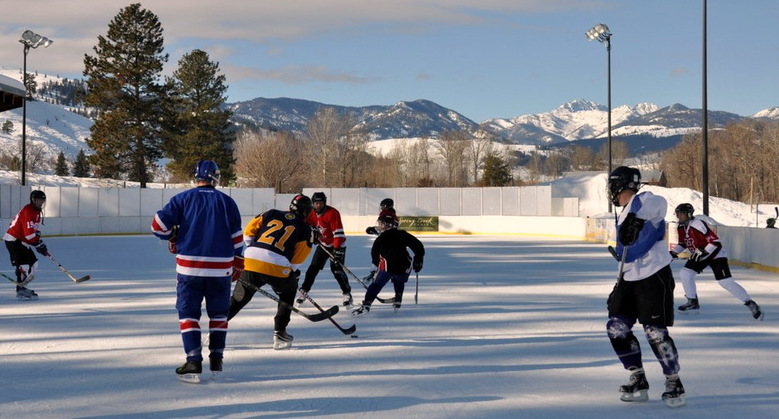 Be sure to bundle up but don’t worry we will have heaters set up around the rink. More information is available at the Winthrop Rink website.